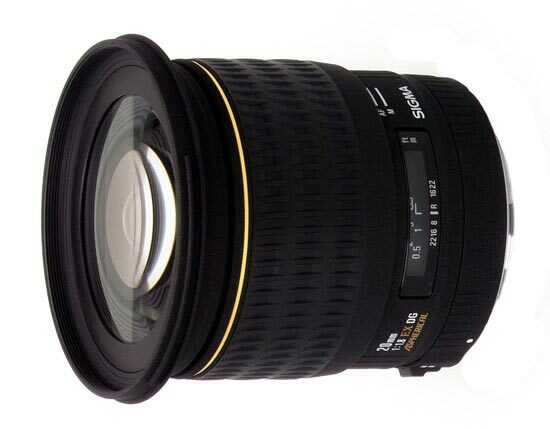 This is a prime lens manufactured by Sigma and the model was launched 2008. The lens has a focal length of 20 mm. Depending on which camera the lens is used, the experienced and perceived focal length will be different. Please visit the list of compatible cameras below, it will provide the equivalent focal length you get on each camera. The lens brightness and aperture value is f/1,8. Text from Sigma: "This Sigma 20mm F1.8 EX DG Aspherical RF is a unique Sigma offering with an aperture of F1.8 making it the fastest super wide angle lens available from any camera or lens manufacturer. For the scenic or landscape photographer it’s important to have a wide angle lens with excellent optical performance and Sigma’s aspherical lens technology provides high quality images for the serious shooter. Sigma’s 20mm lens has a field of view of 94.5º and yet provides for a close focusing lens-to-subject distance of only 2.6 inches. Such performance parameters provide great creative freedom to the photographer who wishes to exploit its capabilities for juxtaposing very near subject with the surrounding background. This extreme wide angle view also makes this lens ideal for crating “stitched” panoramic scenes for dramatic effect. The architectural photographer will find this lens attractive for shooting building interiors and the photojournalists will find its fast speed a life saver in low light conditions.